Dr. Friedman is a Board Certified Hair Restoration Surgeon with 29 Years of Experience Treating More than 15,000 Men and Women with Hair Loss. Dr. Friedman has dedicated his medical career to becoming a true specialist in hair restoration surgery. 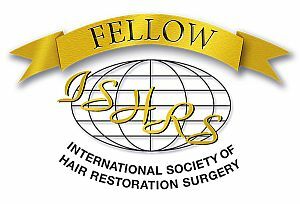 He is the Founding President of the American Board of Hair Restoration Surgery, the certifying board for hair transplant surgeons. Dr. Friedman believes that hair transplantation is a surgical specialty in itself and like other medical specialties, it requires professional oversight to protect the public from inexperienced surgeons. He has lectured extensively nationally and internationally at hair restoration and dermatology seminars. He has also taught his surgical techniques at live surgery workshops. Dr. Friedman has been very generous with his time and knowledge, training a number of well known hair transplant physicians. Dr. Friedman not only performs the latest hair restoration techniques but also has advanced the practice of hair transplantation with his own innovative ideas and skills.